Transit funding for routes in Bridgwater and South Pointe WAS APPROVED in the 2017 budget process! This is welcome news for thousands of transit users in these growing communities! Since being elected, I’ve been working to secure funding in the City’s budget for transit expansion into the communities of Bridgwater and South Pointe. I am extremely pleased to see, through my work and support of Council, that transit will now be expanding into our communities! 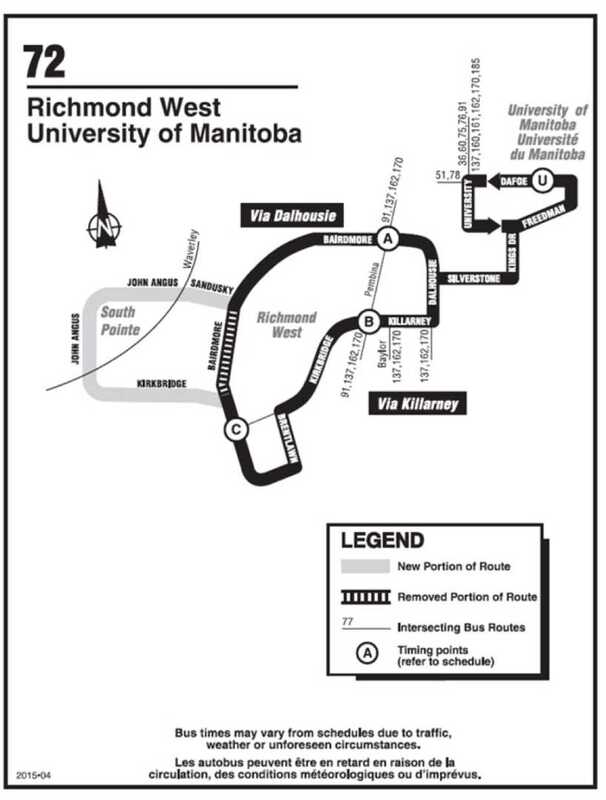 See proposed details of the route expansions below. The 2017 budget enables these expanded routes to be implemented in FALL, 2017. Route 84 and 86 share resources; the two routes are similar to one another in coverage and route length. A bus may travel southbound as an 84 and returning northbound as an 86. On Sundays, each route only operates with one bus; a bus arrives every 40 minutes on average. 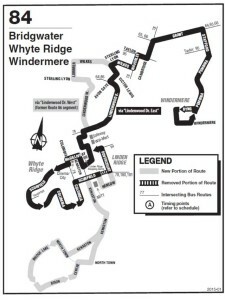 The changes to the Bridgwater route will add a segment that is about 7 km long. 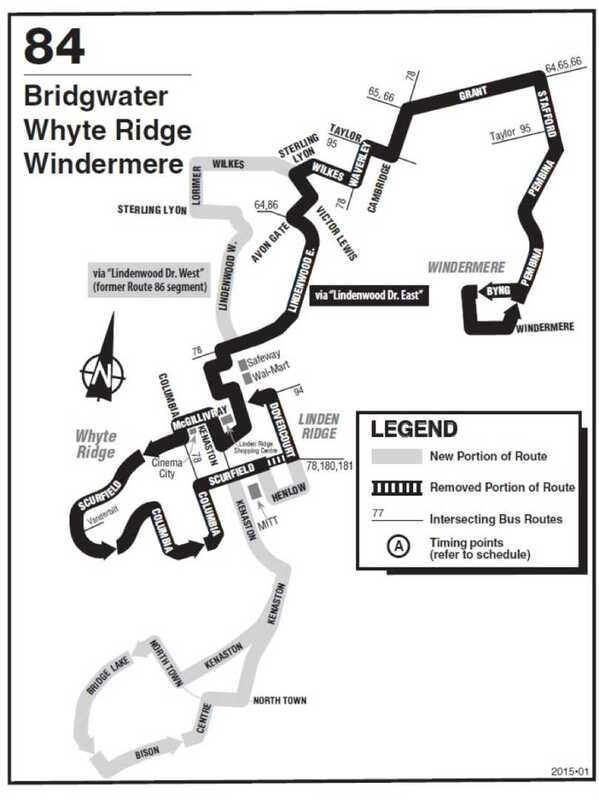 Like the segment in Whyte Ridge, this segment conceptually will operate in one direction on a Route 84, and the opposite for a Route 86. The 7 km segment will take approx. an additional 24 minutes to complete. It is important to note that the approved plan adds resources to maintain the frequency of service, so the wait between two buses will not see a substantive change, even though the route is now longer. One additional bus has been allocated to facilitate this. Route 72 currently provides service between approx. 6 AM and 7 PM on weekdays, and between approx. 11 AM and 7 PM on Saturdays. Two buses operate on the route on the weekdays and the running time is about 40 minutes, so with two buses, a bus arrives about every 20-22 minutes. 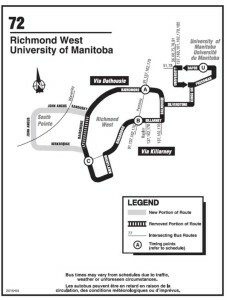 The changes to the service increase the length of the route by about 2 km, or 7 minutes, but the hours of operation are anticipated to stay the same. On weekdays, during peak periods, three buses will operate so that a bus arrives approx. every 16 minutes during the peak periods. The additional bus will mean that pass-by potential (a bus passing a stop because it is full) will be reduced. On weekdays, during off peak periods, a bus will arrive every 23-25 minutes. On Saturdays, only one bus operates the route at present, meaning a bus arrives every 38-40 minutes. With the route extended, it will likely mean the service will be changed so that a bus arrives every 47 minutes. These are preliminary figures; when the Scheduling Dept. creates the actual routes, they will modify the time the buses layover at the end of the routes, review the ability to link bus runs between routes, etc., and consider changing conditions throughout the day such as heavier traffic at peak periods, so these numbers are approximate. PLEASE NOTE: The proposed South Pointe route was prepared in 2015 BEFORE the completion of Stan Bailie Drive and École South Pointe School. 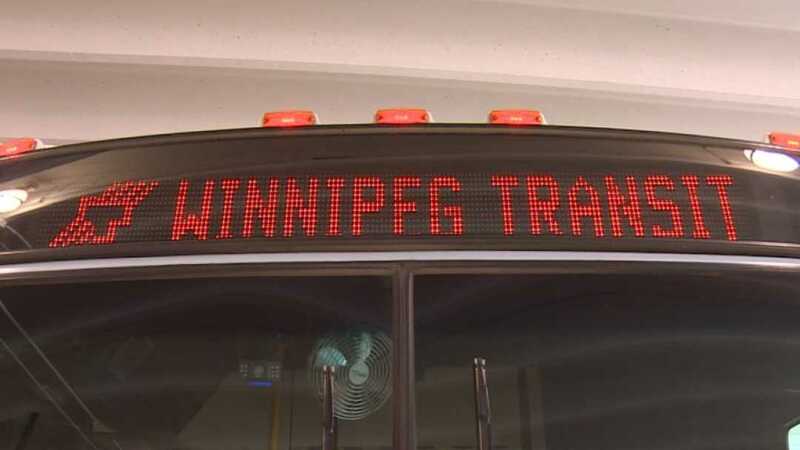 Route refinement is being reviewed for South Pointe, and I expect Winnipeg Transit to provide a positive update in the coming months. Transit has been receiving great input from local residents, and I’d like to thank all who have spoken with me on this issue.